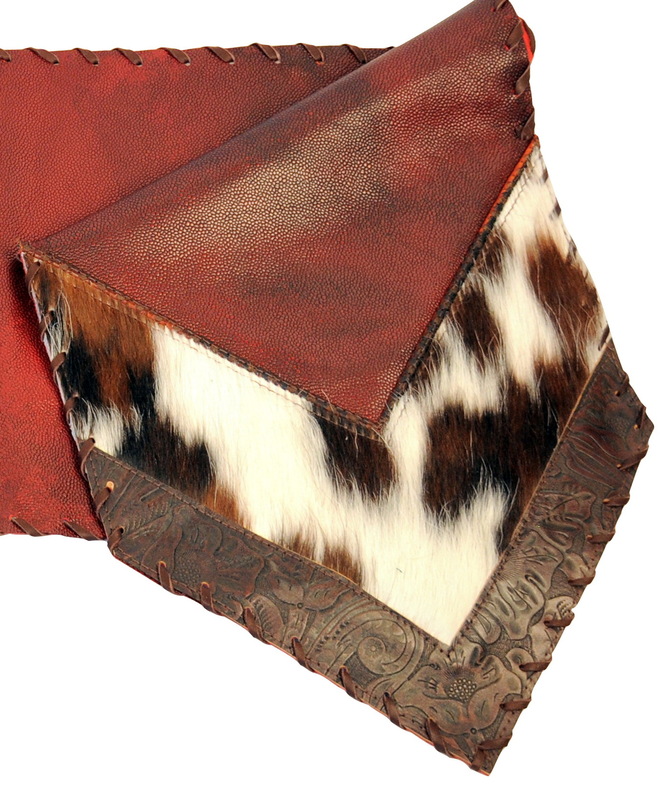 Red antiqued leather base, with tri color hair on cow leather V tips. 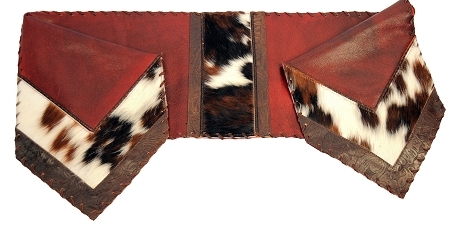 Small leather braid separating the red and hair on cow sections. There is a brown western tool style leather underlay at tips. Laced with leather lace. Size options: 12" X 54" , 12" X 72" or 14" X 72"